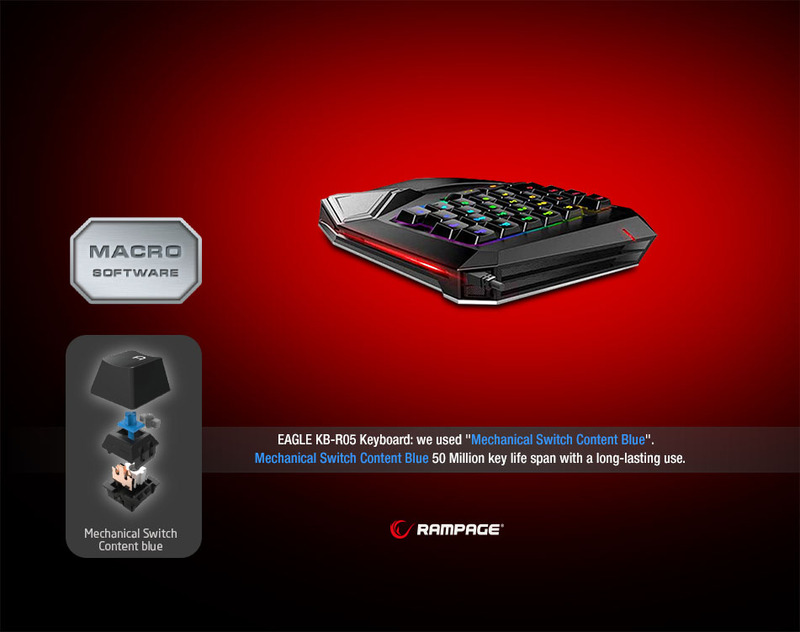 Everest Rampage KB-R05 EAGLE RGB Version USB Lighting Gaming Q Multimedia Mechanical Keyboard; We used Mechanical Switch Content Blue. It gives you an excellent and very long life with a life of 50 million key. 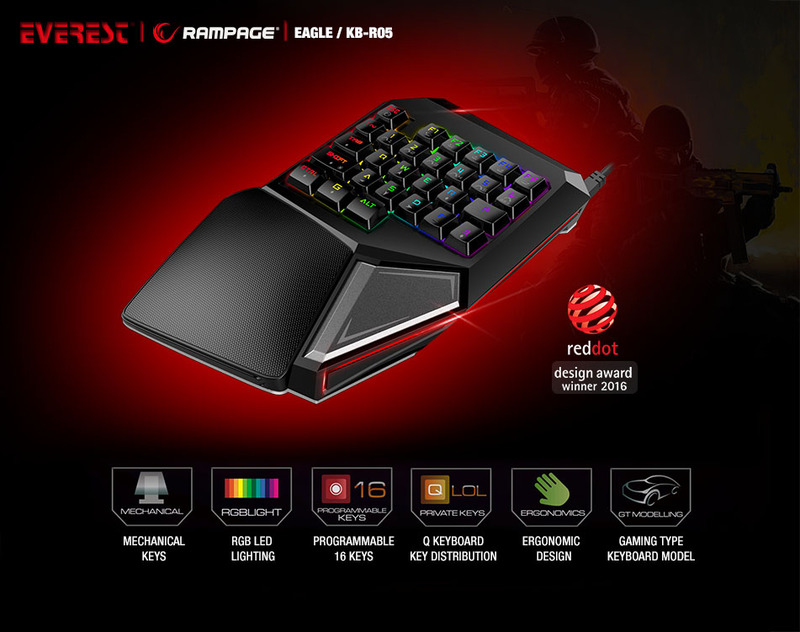 Everest Rampage KB-R05 EAGLE RGB Version USB Lighting Gaming Q Multimedia Mechanical Keyboard; Experience ergonomic design and ease of use without tiring your arm. Through to the wrist support, you will not get tire your sleeve for long use. 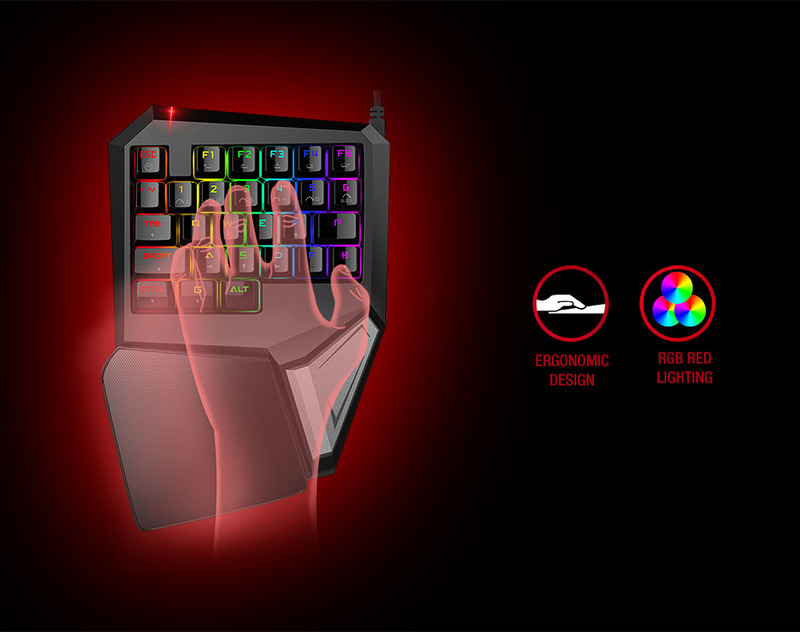 You can create visuals that match your taste and make your use more enjoyable with RGB led lighting and special software. 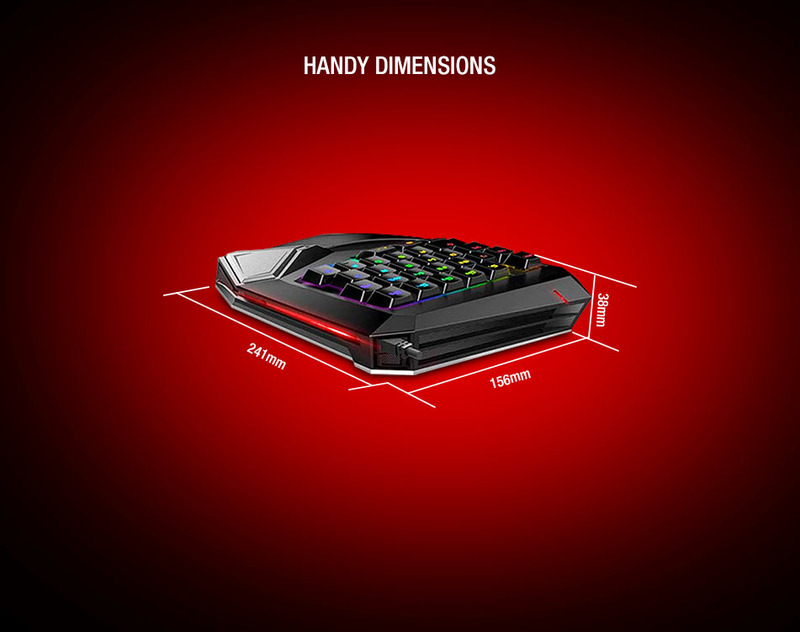 Everest Rampage KB-R05 EAGLE RGB Version USB Lighting Gaming Q Multimedia Mechanical Keyboard; It is designed to be very durable through to the EAGLE metal bottom frame and its convenient dimensions and durable structure which make it always one step ahead of its competitors. 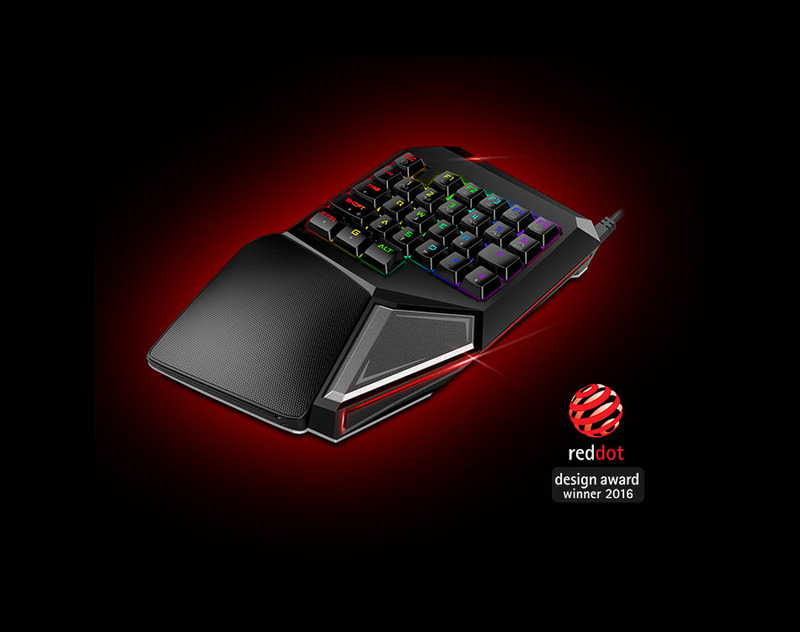 Everest Rampage KB-R05 EAGLE RGB Version USB Lighting Gaming Q Multimedia Mechanical Keyboard; 2016 Reddot design award winner through to this mechanical T9 keyboard design.